Kammakan (Commitee) is good or not? Let’s get back to the argument of kammakan’s project, if it’s good enough to support. Let me quote you what Ven. LP Ser told a temple supporter in front of me at Ven.’s kuti last year April. This conversation was about a beautiful set of Rian Saema of Ven. LP Ser Wat DonYaiPeuan, this supporter will be coming out with boxes of special collection ( with Ven. permission). I can’t recall the total sets but its about THB5,000 each. Heavily promoted in magazines by well known magazines. We happened to bumped into each other during one afternoon when I was with Ven. Knowing that SaengThai Malaysia supported the building Bot much, this gentleman was trying to persuade me to book many sets so that the target was reached. Ven. advised him against that idea and he looked puzzled. Ven. shared with this gentleman. 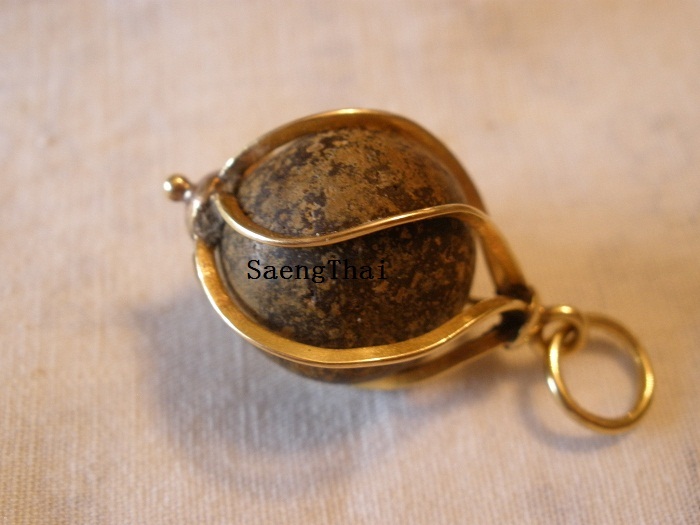 “SaengThai Malaysia in all the projects participated had never taken a single cent from the proceed ofÂ amulets or other souvenirs made by Ven. but instead SaengThai paid for the cost of making it altogether. All sets made were paid, none were left to Ven. to worry about who will collect them thereafter. Plus all sets were not made in the context of selling but as a token of souvenir from the dana contributed to Ven. “Jaedthana Borisut”/ pure and wholesome intention. Ven. said,” Different from you all where proceed from the amulets. Only a portion was offered to temple!” The gentleman was enlightened to hear from Ven. on this short sermon on “Jaedthana Borisut” but was surprised to hear such. We, SaengThai Malaysia are humbly glad that Ven. stood up for us, differentiating us from the rest. And that is also why, among our groups whom wore our Ven. LP Ser’s collections experienced many unexplainable results. That is because the amulets from Ven. LP Ser, though arranged to be made by SaengThai but it was a token of appreciation from Ven. for the dana performed by our followers. It was always about merits AND NOT sales and purchased. So you can second guess the other kammakan(s) or in fact doubt them but never SaengThai because we set our bars quite high. Unfortunately Ven. LP Dam Wat Mai Naparam has left us and Ven. couldn’t tell you himself which are the buildings we helped built. But you can still ask Ven. LP Ser Wat DonYaiPeuan or even Ven. LP ThongPoon of WatBanPen, they are still around. Anyway, if there no groups like SaengThai, perhaps you canÂ tell me where would temples or Ven. teachers source for their building funds. Depend on the government? We are quite proud in fact because among us. Some well to do followers also follow our foot-steps and in fact may I say they are better because just them alone they can donate up to hundreds of thousand RM and they don’t expect to get anything in return. But such disturbing inquiries can be healthy because that would mean that collectors’ now are learning to differentiate the good from the bad. We hope when all of you have known then please help to educate others too because there’s more than just the physical amulet that you see. “Barami” or merits you cannot see but can only be felt when you are with the right group. So if you can get a piece of our projects’ souvenirs, be glad! Cause they are not determined by it’s extrinsic value. In fact you should be lucky! Next Post - Next post: Happy New Year 2014!